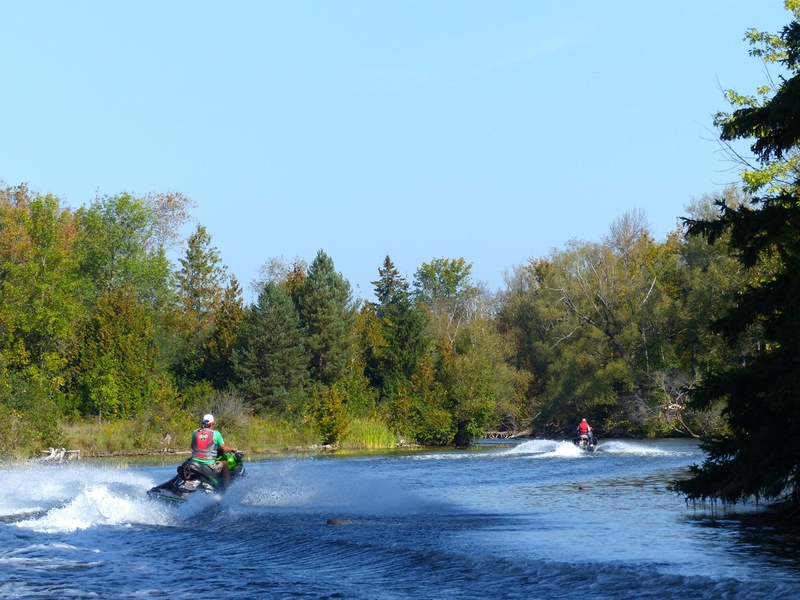 Many riders don’t know what Ontario boating regs apply to personal watercraft. The safe answer is: all the same rules that apply to every small powered vessel in every province. But based on the many questions I get from PWC riders, many still express some areas of uncertainty or misunderstanding. This is chancy, because in my experience marine patrols are more likely to stop PWC’s than other boats. I hope this article will help operators avoid hassles on the water, at least for those riding in Canada. So it’s important to start by clarifying that boating laws and regulations are under federal jurisdiction in both Canada and The United States. While they may be similar in both countries, residents of each nation need to know their own boating laws. This means that referring to “Ontario boating regs” is technically inaccurate. 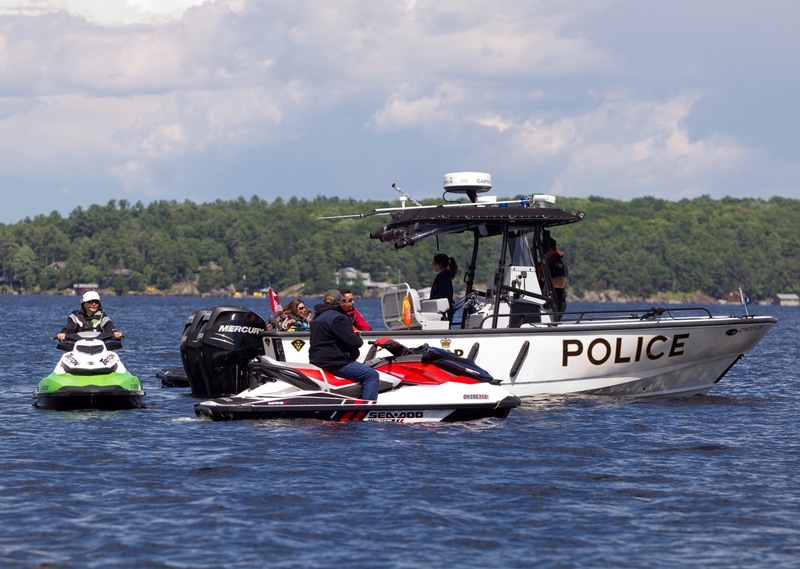 While boating regs may be primarily enforced by provincial and regional police services, the regs themselves are federal. People sometimes refer to this one as a “boat licence”. But it’s officially known as a “Pleasure Craft Licence”. 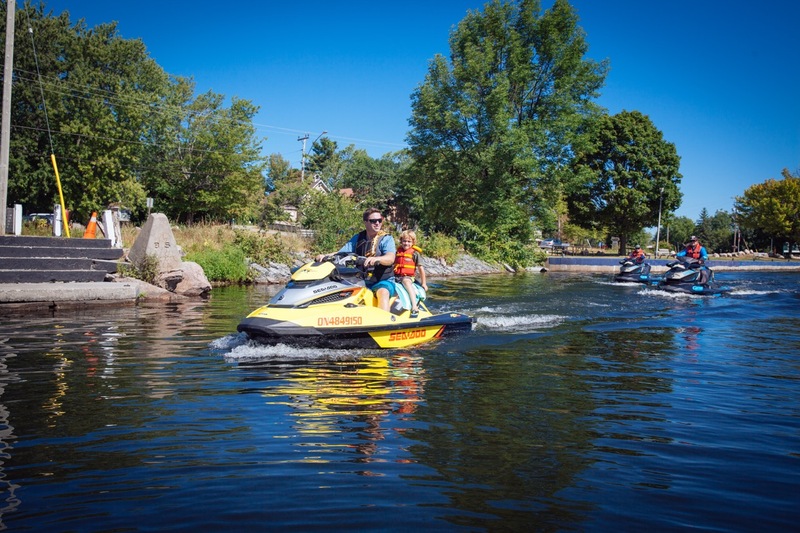 This no-cost, Canada-wide boat licence results in a set of unique authorized numbers on each side of your personal watercraft for its lifetime. Among other things, the numbers provide identification and assist in enforcement and emergencies. But this licensing is not registered proof of ownership. Think of it as the licence plate for your boat and don’t get caught without it. When you buy a new PWC from a dealer, the dealer usually takes care of this process and affixing your new licence numbers. Alternatively, a PWC owner can obtain a Pleasure Craft License online from Transport Canada. If you sell your jet ski, the numbers stay with it. The new owner must apply for a licence transfer. 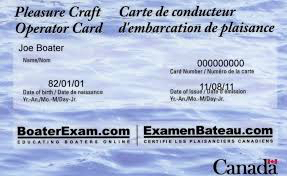 People sometimes refer to the other licence as a “boating licence” or “boater’s licence”. But its official name is a Pleasure Craft Operator’s Card. Think of this one as your driver’s licence on the water. It not only proves you have completed proper training, but also acts as personal ID when you are not carrying your wallet with you. You get it after taking an accredited online boating safety course and passing a boating safety test. 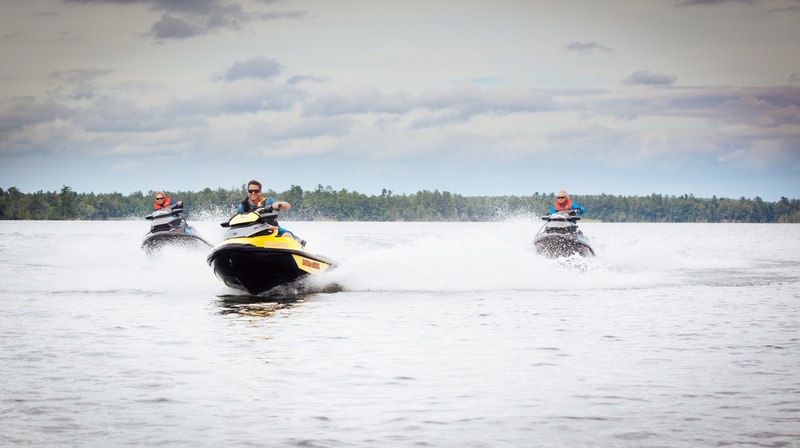 You must always carry your Pleasure Craft Operator’s License with you while riding your PWC or face a $250 fine. But remember you must be 16 or older to operate a PWC without supervision. It’s also a good idea to have proof of insurance on board with you, although insuring your boat is not mandatory. I’ve received several questions from PWC riders about the 2013 Shoreline Speed Restriction Law. This 2013 regulation applies to fresh water boating in Ontario and many other provinces. This law says it’s illegal to operate any powerboat faster than 10 km/h within 30 metres (100’) of shore. This makes sense, especially along fragile shorelines, or where boats are docked or when you’re heading to shore yourself. It’s also safer to ride farther than 30 metres from shore. But what if the waterway isn’t wide enough to have 30 metres of no-go space on each shore? That’s why PWC riders need to know the exceptions. The speed restrictions do not apply in rivers less than 100 metres (328’) wide. Or in canals and buoyed channels. In both cases, use common sense and obey any other officially posted speed and no wake zones. It’s also a good idea to slow down going past paddlers, anchored anglers, swimmers, divers, moored boats or heading into marinas or locks. And what about speed on the water? Except for officially post speed zones, there is no speed limit on the water. But before you push the throttle to the bar, note that the Small Vessel Regulations include a Prohibition Against Careless Operation. Meanwhile, the Criminal Code of Canada states that dangerous operating practices are illegal. An enforcement officer can use either of these to charge an excessive speeder if your behaviour appears careless or dangerous. Same goes for wake jumping too close behind another boat. So be aware about what’s involved in lawful PWC operation. Doing so will help you avoid the $350 fine for operating a boat in a careless manner or the $500 penalty for operating in an unsafe manner. Your guess is as good as mine what the difference between these is two charges. But one thing for sure: enforcement officers have the authority on the water to lay them and to inspect your PWC at any time. So you must stop when a marine patrol signals you to do so. Here’s another source of confusion according to many PWC riders. What safety/emergency equipment is mandatory to carry on board? 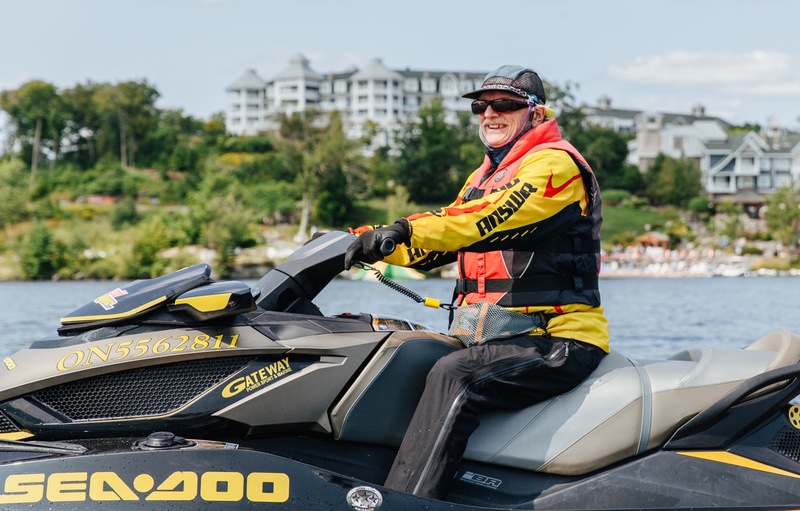 If both operator and passenger(s) are wearing properly sized personal flotation devices, the answer as I read it is that you only need a watertight flashlight and a sound-signalling device on a personal watercraft. That being said, if you’re doing any day rides or overnighters, I’d recommend carrying some additional gear, including a buoyant towrope. Also note that you need navigation lights just like all other boats for operating between sunset and sunrise. But riding a PWC at night is not recommended. As an experienced Sea Doo rider, I’d also suggest that every PWC operator learn the navigation basics to avoid getting lost. Also, discover how you can avoid the five most common watercraft repairs and how to dock like a pro or go through a lock properly. After all, we’re on the water to have fun, not deal with hassles or cause others trouble, right?